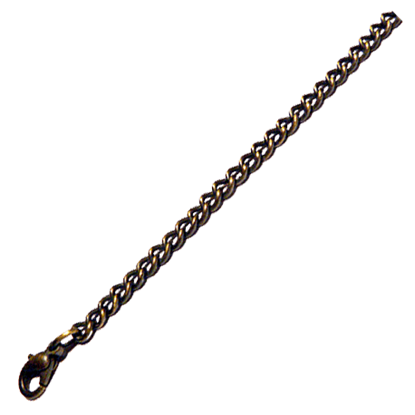 We have medieval and Renaissance style necklaces for both men and women, peasant or noble. From styles for rugged warriors to elegant jewelry pieces for Renaissance nobility, we have great necklaces that are historical in their style and go nicely with any theme or outfit. From understated necklaces with small crosses and other symbols all the way to elaborate rhinestone encrusted necklaces that are fit for queens, we offer quite a selection of historical necklaces here. Most of our medieval necklaces are not only great for wearing at medieval or Renaissance events, they can even be worn with your everyday clothing. Embrace the beauty of nature when you wear the Agate Teardrop Stone Necklace. 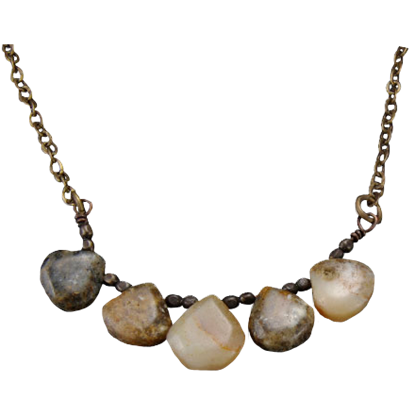 This handcrafted medieval necklace has a down-to-earth look, featuring a series of five unique and smooth agate stones on an antiqued brass necklace chain. As a religious order, many of the seals used by the Knights Templar had significant spiritual connotations. 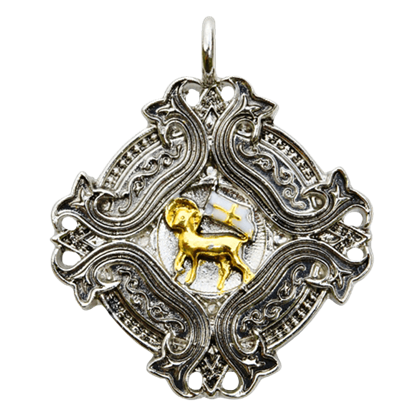 This Agnus Dei Templar Necklace recreates a popular and powerful seal that was favored by Templars located in England. With beauty befitting realms of fantasy, the Amazonite Silver Rectangle Tier Necklace is a modern jewelry piece with artistic styling reminiscent of ancient and mystical aesthetics. Amazonite stones adorn its silver plated panels. 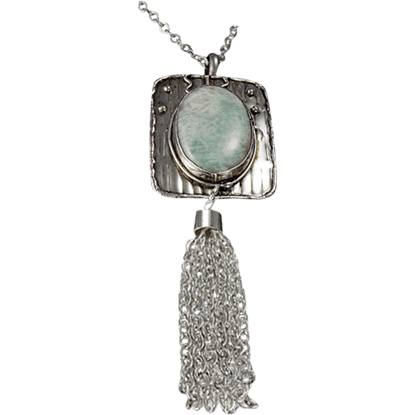 With the elegance of some mystical realm, the Amazonite Silver Tassel Necklace is a unique and artistic blend of modern fashion, antique style, and fantasy beauty. 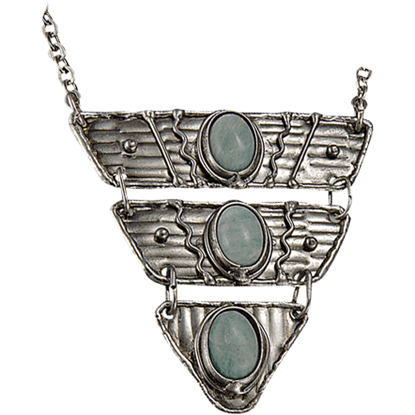 A large amazonite stone sits central in this silver plated piece. With enchanting beauty inspired by ancient fantasy, the Amazonite Silver Triangle Tier Necklace features three flat silver plated tiers that together form a triangular shape, each adorned with pastel green amazonite cabochons. As a former Queen of England, it stands to reason that Anne Boleyn wore only the most elegant pieces of jewelry. 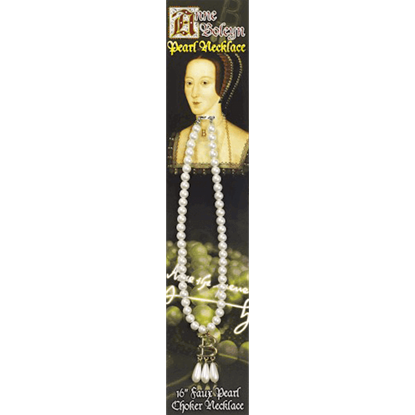 This Anne Boleyn Faux Pearl Choker Necklace is indeed quite elegant, and it includes a clever information card, too. 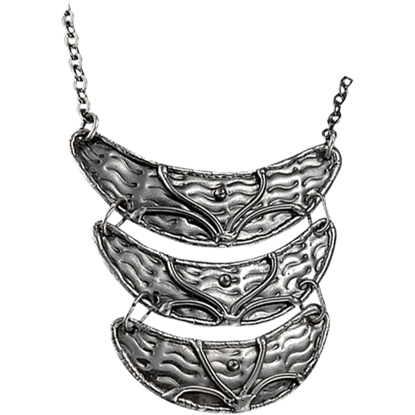 The artistic design of the Antique Silver Three Tier Necklace lends itself to inspired interpretation. Plated with silver and each decorated with elegant filigree, the three panels of this necklace are shaped like crescent moons. 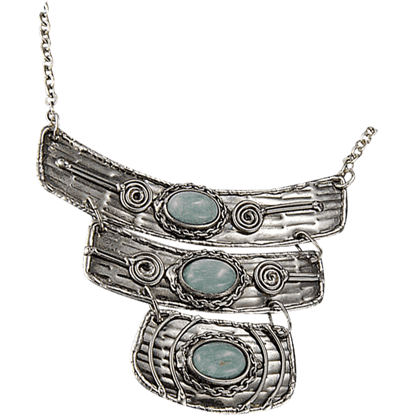 Rustic detail meets modern fashion trend, creating the Antique Silver Two Tier Necklace. 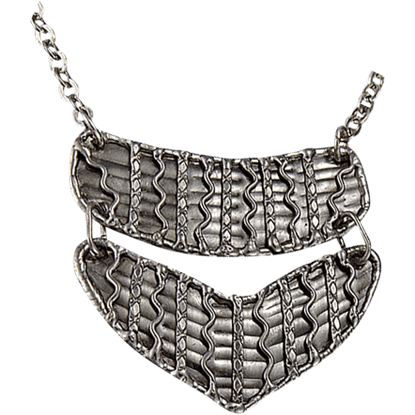 Accessorize almost any look with this statement-making jewelry piece, its layered panel construction plated with antique finished silver. Lions are such noble and regal creatures that they are commonly referred to as the kings of the jungle and have been used in multiple royal crests. 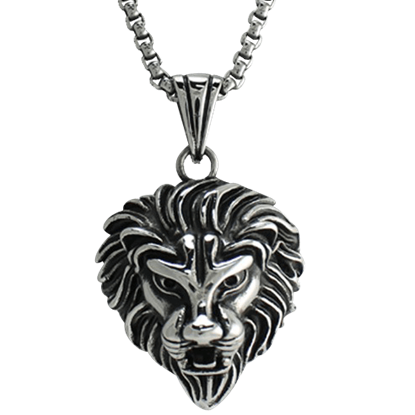 Show off your royalty and your nobility with the Antiqued Lion Head Necklace! Never underestimate how even a bit of precious, gleaming metal can affect your attire. 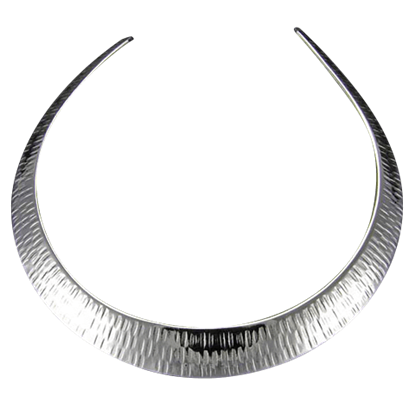 Queens wore silver to show off their majesty and beauty, and now, you can do the same by wearing this Artisan's Silver Choker necklace. 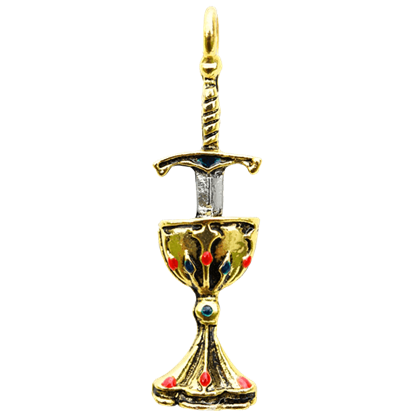 In medieval times, it was rumored that the Knights Templar guarded the Holy Grail with their swords. In this Blade and Chalice Templar Necklace, the two come together in a union that symbolizes a balance of love, trust, and might. I adore these bottles! I bought 2 and was very pleased with them. They got here quick and were a wonderful last minute addition to my fantasy costume. Great quality! Thank you sooooo much!